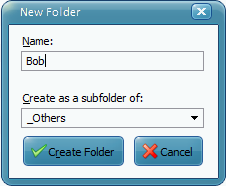 The new folder is created instantly, and after a short delay, the emails will be moved to the new folder. Please note that some accounts (e.g. 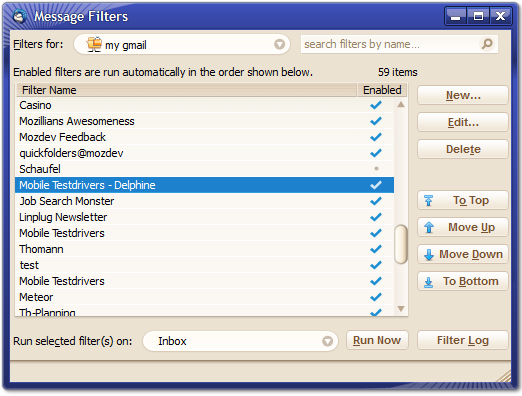 some IMAP servers) do not support creating new subfolders from a mail client. 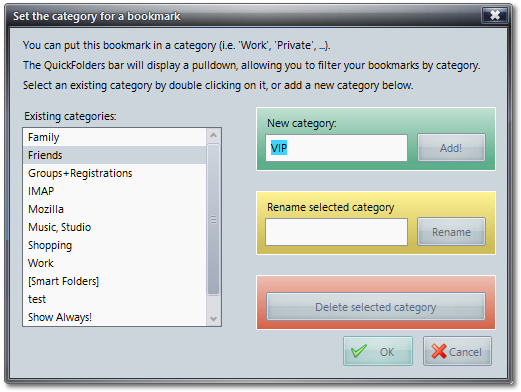 Under New Category, enter the name and click Add. 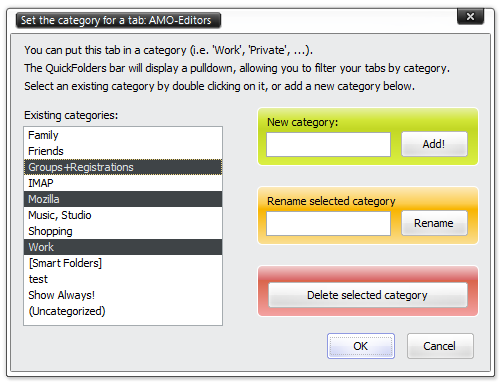 You can move the tab to a different category later by selecing another one from the list and clicking Ok. 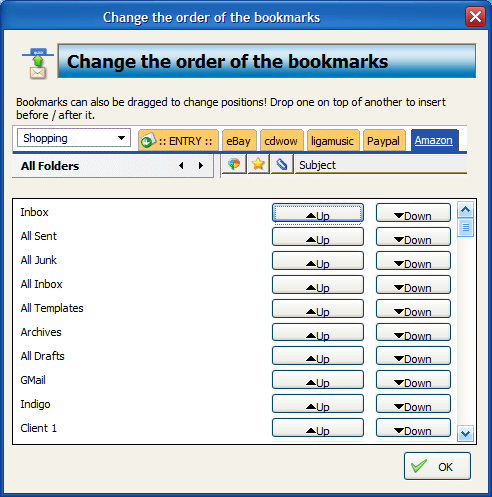 The Current Folders Bar is a navigation helper that simplifies browsing through all folders (including those that are not Tabs in QuickFolders) and gives quick access to the current email (email icon on the left) for dragging it into a different folder, and also the recent folders drop down. It also gives you the most important folder commands such as "Purge Junk" "Empty Trash" "Mark Messages as Read"
It virtually makes reaching over to the folder tree for executing certain commands a thing of the past. 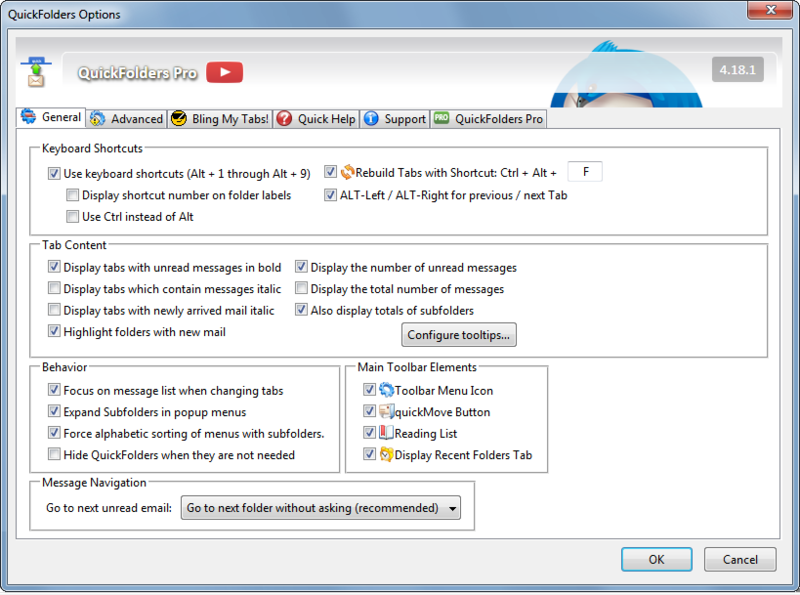 And you can do things like pulling an email from friends to friends/Tom or from projects to projects/customer1 in a very quick and simple operation; I put quite a bit of thought into it but it is far from being finished. 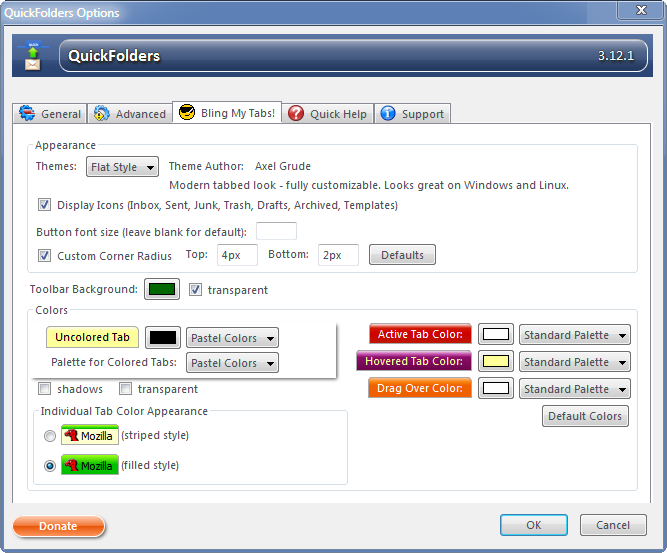 right-click an empty area on the QuickFolders toolbar to get its context menu. 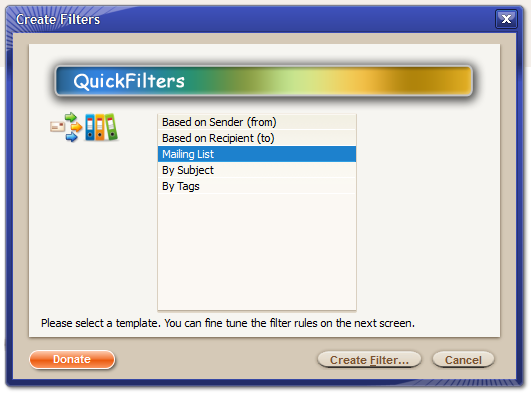 QuickFolders yet most powerful productivity feature: With the new Filter Teach mode, creating filters becomes as easy as drag + click. 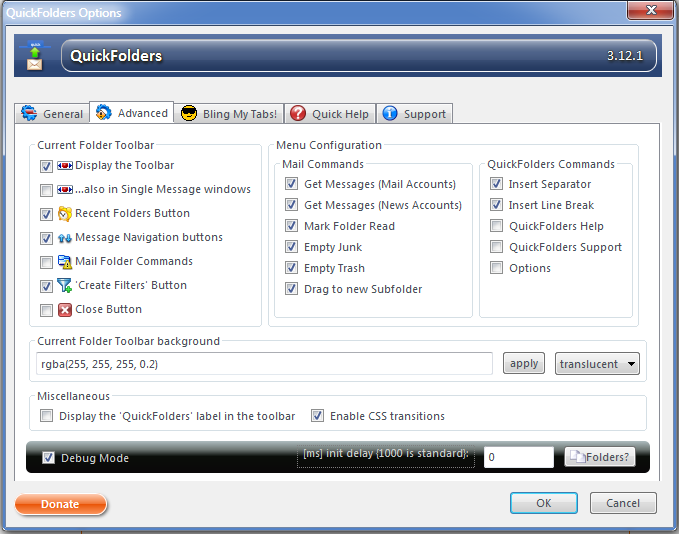 Turn on and start dragging your emails into QuickFolders, the wizard takes care of the rest. Here is a detailed explanation. 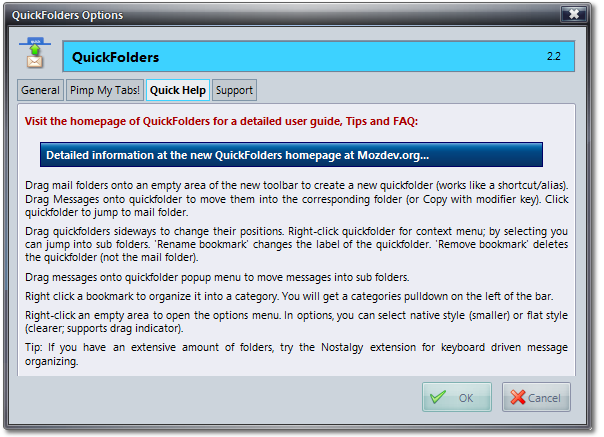 For a detailed description of all options on this page, please got to the QuickFolders Home Page. 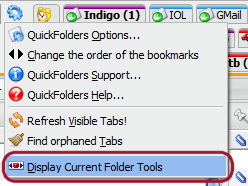 Configure the Current Folder bar and the context menus of the tabs; also miscellaneous other options.